Small in stature, grandiose in heart. John Osso ’40 believed his life’s savings was best spent investing in the future of Badin and Badin students. 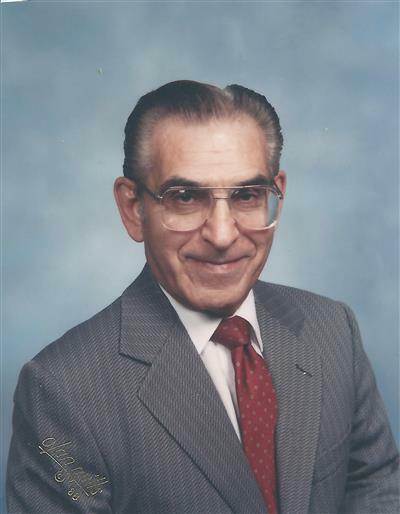 During his life, John chose to leave the majority of his estate to Badin High School for the purposes of building an endowment to fund financial aid for Badin families. John passed away in 2014 at the age of 93. In May 2015, the Badin Board of Trustees voted to launch a $3 million campaign to build our endowment and construct a student development center. With the lead gift made possible by John Osso’s estate, Badin is now well on its way to building one of the strongest endowments in the area for a school of its size. Thanks to his vision and passion for Badin and Catholic education, the value of John’s estate—the lead gift to the We Remember. We Celebrate. We Believe. Campaign for Badin’s Next 50 Years—is valued at nearly $1.2 million—the largest charitable gift in Badin’s history. We are humbled by John Osso’s generosity, and are profoundly grateful that Badin students will receive financial assistance from his gift in perpetuity!